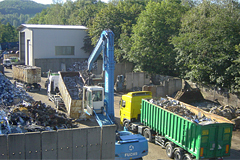 Because our company is certified for waste disposal by the LVR-Entsorgergemeinschaft Sachsen e.V, the quality of our products and services is documented. Our company is certified as a recycling specialist according to §56 of the German Waste Management and Product Recycling Act (KrWG). Saturday is closed in January and February. 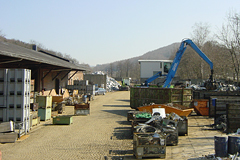 metarec Metallrecycling GmbH is an experienced partner in scrap steel and non-ferrous metal recycling for Saxony. 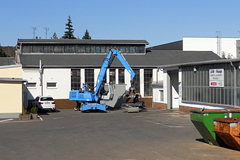 As recycling specialists, our sites in Lauter-Bernsbach and Zwickau comply with the environmental guidelines to guarantee professional utilization and processing of secondary raw materials. With individual recycling and disposal strategies, our family business makes a significant contribution to the conservation of valuable resources. We use state of the art technology and processes to meet the strict quality demands of steel works, foundries, iron works, and smelting works. 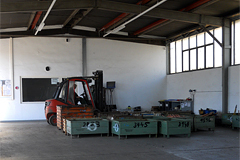 Our experience makes us a powerful partner for manufacturing, metal traders, tradespeople and private enterprise. 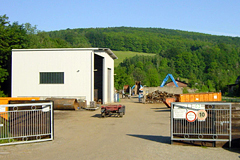 Our business relationships extend from Germany to many countries in Europe and the Far East. We have become a particularly attractive and reliable partner in the region for the Czech Republic. 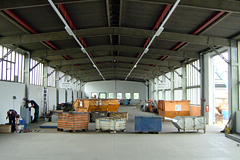 Our primary operating area stretches from Plauen to Chemnitz via Zwickau; our branch in Zwickau gives us an ideal location from which to serve Zwickau and surrounding areas. We supply containers of every size and provide collections of every type as part of our daily operations. Of course, we also provide consulting services and analysis as well as extensive information.